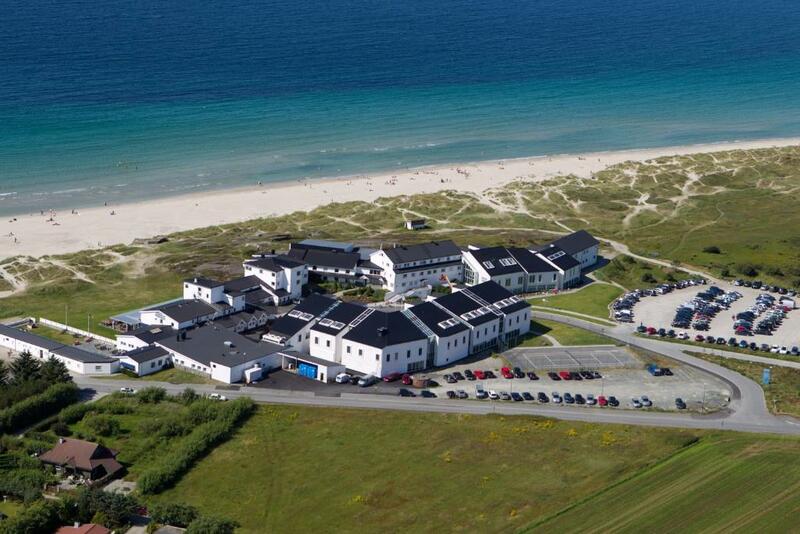 Lock in a great price for Sola Strand Hotel – rated 8.5 by recent guests! Appreciated the quiet room with view of sand dunes, the early check-in and late check-out. Coffee and tea facilities in room. Free use of spa. Amazing view, a superb spa and very polite and service minded staff. My partner and I stay one or twice in Sola strand Hotel to walk on the beach, relax in the spa, have a good sleep away from everything and have a great breakfast. We love everything about this plan. The hotel is a fantastic place for short and long stays. The spa is lovely. Breakfast buffet is incredible. The hotel is located on the beach. The seaview from my hotelroom. The breakfast buffet. How nice the staff was. The location on a splendid beach. The quality of the free bikes. Beach location, good comfortable bed, nice selection at breakfast. Went for a wedding and stayed 3 nights. Everything was perfect, it was not my first time at This hotel as I stayed there about 21 years ago. Much larger now with many more facilities including a wonderful spa. Sola Strand Hotel This rating is a reflection of how the property compares to the industry standard when it comes to price, facilities and services available. It's based on a self-evaluation by the property. Use this rating to help choose your stay! One of our best sellers in Sola! 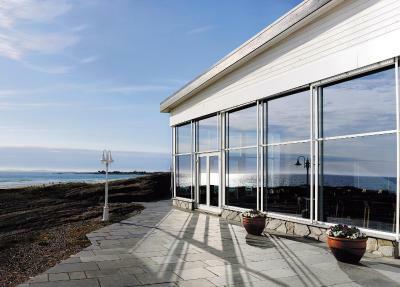 Located a 15-minute drive from Stavanger, this hotel offers direct access to the 1.6 mi long Solastranden Beach. It features a popular beach bar, large sun terraces and a modern spa. The bright and airy rooms of Sola Strand Hotel feature modern décor, a flat-screen TV and free Wi-Fi. Free tea and coffee-making facilities are provided in each room. Large lunch buffets are served at the Montroyal Restaurant, which is set in a refurbished cigar room from an early 1900s cruise ship. Sola Strand’s à la carte restaurant offers seasonal specialties. For relaxation, the Nordsjøbadet Spa offers saunas, a cold water plunge pool and an indoor swimming pool. Treatments include soothing facials and algae body wraps. More active guests can try windsurfing or borrow a bicycle on site during summer. When would you like to stay at Sola Strand Hotel? Includes a seating area, flat-screen TV and a private bathroom with shower. This family room has flat-screen TV, sofa bed and a private bathroom with shower. Kindly inform the number of children when booking this room. You can use the Special Requests box when booking. House Rules Sola Strand Hotel takes special requests – add in the next step! Sola Strand Hotel accepts these cards and reserves the right to temporarily hold an amount prior to arrival. Children are welcome in the spa & wellness center from 08:00 - 11:00. Outside of these hours, guests at the spa & wellness center must be at least 16 years old. Breakfast and dinner excellent. Service good. Charming relaxing location. Great breakfast. The only thing that changed from our previous stays was that access to the spa is not included in the hotel price (at least it wasn't this time), so we had to pay extra. They advertise having a pool, which is the reason for me choosing to stay at this hotel, but then want you to pay to use it! It was a small room with a small bed. Hotel was clean and good location. Bit noisy with a wedding party on Saturday night, but not disturbing. The hotel is very expensive. It is branded as a historical landmark, but I think there is a quite clear distinction between historical and old.... The hotel has a clear vocation towards a conference place. The hotel consists of several buildings. Initially we got a room which was located in a building used only for conference purposes and there are no facilities in that building (spa, gym etc). So we asked for a un upgrade with the sea view, but we landed in an even smaller rom without wardrobe, with a small bath and with very old and dirty furnitures. We stayed there for two days. The room cleaning service was not performed in our room - there was just one person cleaning all the rooms and she did not manage to clean our room as well before we were back at 3 in the afternoon. The breakfast is a typical continental breakfast. Good choice but it is usually common to have alternative like croissant etc. There was no coffee machine and this is pretty embarrassing. Entrance to SPA is charged separately (100 NOK - quite disappointing). The SPA has a swimming pool, a sauna, a Turkish bath other minor services. Nothing special, it is a must for hotels of that price range. Guest were screaming and making noise all the time - no rules and no possibility to rest. My main complaint was the fact that the heating in this hotel, or at least in my room was terrible, as in non-existent. The air conditioning was running non stop on cold, you could not stand or lie down even because of the constant cold stream of air. I tried for an hour to change it from the thermostat but it did not function. I asked the ladies at the reception to please fix it and they said they would and although the thermostat claimed that there were 23-24 degrees, there were, believe me, 17-18 degrees max. I had to sleep with the buff on my head. I was offered another room and I would have probably taken it had it not been for hiking all day and simply collapsing out of sheer exhaustion in a room I practically froze in. The service at the restaurant is another downside unfortunately. It takes an immense amount of time for the waiter / bartender (and this is not ok, for the bartender to also be a waiter) to serve the most basic of foods (not even cooked stuff) and to be honest, the selection of food is sparse and it is just not that great. Not 4 star level great at least. Did wake up everyday at 6:30 AM because the maids were making too much noise while cleaning other rooms. Did stay at room 55. Old room and makes a lot of noise while walking inside the room. Too much noise from the corridors and from the room above. Very bad experience because paid premium price due to the Oil & Gas exhibition and couldn't recover the sleep!!!! The food was very good and the staff friendly. With this price (We paid 1595kr for a double room) the swimming pool/“spa” had to be included or complementary. Not a extra of 125kr per person. Hotel is next to the airport, and every 20 minutes there is a large helicopter flying over for some tour, that’s not making it the quiet location it can be. Close to airport. Beautiful view!